New year, new entrance sign at Urbana U. A new formal entrance to Urbana University from the College Way side greets visitors to the campus this fall. Homecoming is this weekend with the game against visiting Fairmont State kicking off at noon on Saturday. Other exterior improvements to the campus are apparent as the institution continues to increase visibility of its continued presence. The university was founded in 1850 and came under the oversight of Franklin University within the past 2 years. https://www.urbanacitizen.com/wp-content/uploads/sites/36/2015/10/web1_uu-entrance.jpgA new formal entrance to Urbana University from the College Way side greets visitors to the campus this fall. Homecoming is this weekend with the game against visiting Fairmont State kicking off at noon on Saturday. Other exterior improvements to the campus are apparent as the institution continues to increase visibility of its continued presence. 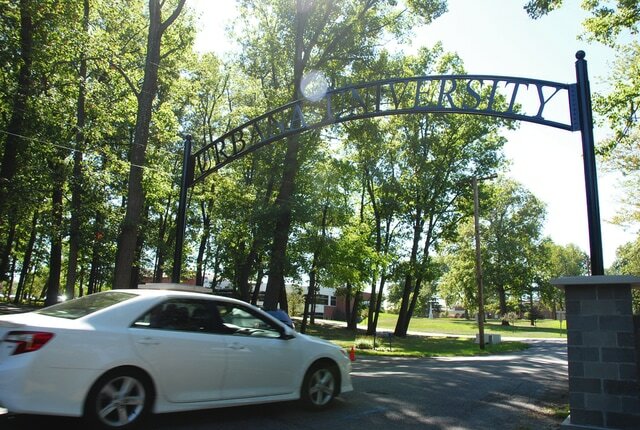 The university was founded in 1850 and came under the oversight of Franklin University within the past 2 years.